Don't you think is time to select those of your works that have more than 300 views? I think it is... feel free to join if you like, and add all your works that have more than 300 views at the moment you submit them to the group. Have fun! Favorites is an obvious measure of quality, but attracting viewers in the first place is another. Not everyone clicks the "favorite" link, or can (because they're not registered). 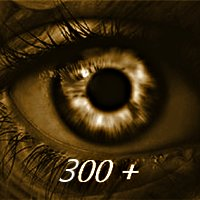 Post your photos with at least 300 views to this group, and let's see if we can build the traffic.